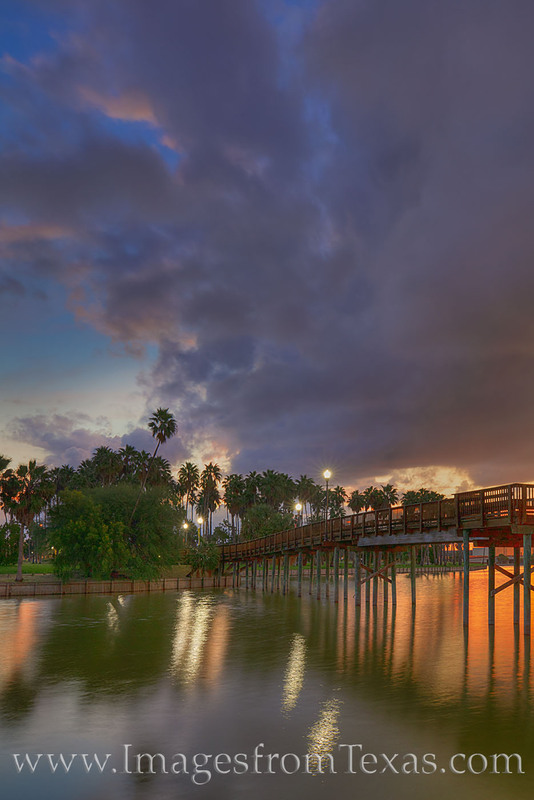 On a beautiful evening along the Texas-Mexico border in the town of Brownsville, a beautiful sunset lingers over a resaca. This is one of the many old riverbeds that run throughout this coastal city. Storms had just passed through, and the air was clear and calm.